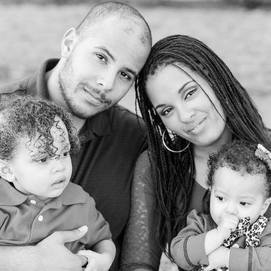 ​Sandy and Brandon Branigan are actively involved in Arise, CCC's Young Adults ministry. Sandy serves as Worship Leader, Brandon is Outreach Coach, and both are Community Group Leaders. How long have you been at CCC? ​Two and a half years. How did you get involved in serving with Arise? We listened to the Lord for where he is calling us to serve at Christ Community and approached it with an attitude of being all in for the Lord. We also attended Gifted to Serve, which confirmed our places of service. What do you enjoy about serving in these ministries? Serving in these roles has brought us closer to the Lord and enriched our entire life, from living in community to marriage and raising our children. The most joy we get in serving is to see how people are affected by the ministry and are getting closer or going deeper with the Lord. Now that we are plugged into the body at Christ Community in service, we truly feel like this is our family and that we want to live an extraordinary life. What are some of your favorite moments from serving in Arise? Brandon: Having one of our community group members come to know Jesus and see a drastic change in the person's lifestyle. Also, seeing the teams I lead develop into true communities. Sandy: First performance on the worship team, I felt surrounded by love and support and filled with the Holy Spirit for the first time during a song. Volunteering is truly life giving – it connects you to so many people in the body and creates a feeling of being part of the family. We have been able to help others in times of need during prayer or with physical action and have received that same love as well. If you want to go deeper with Jesus, you need to find your place of service. It is life giving!